The report's release, if it does occur this week, would come roughly three weeks after Mueller submitted his report to the Justice Department and Barr, days later, subsequently sent his letter to congressional leaders describing its top findings. The attorney general made no mention of Mueller's report or the Russian Federation investigation in his opening statement. He said that he had "some inkling as to some of the thinking of the special counsel" due to public reporting on indictments, etc. filed by Mueller. He said the White House did not review the letter to Congress laying out Mueller's findings before he sent it. The full details of Mueller's report will reveal if Trump used his power to undermine the efforts of his coequal branches to uphold the rule of law-and Congress has every right to find out. He says Mueller wasn't involved in preparing the letter to Congress because it was "my letter". Barr says Mueller's thinking was "not a mystery" to Deputy Attorney General Rod Rosenstein and other senior Justice Department leaders who had been supervising the probe for almost two years. 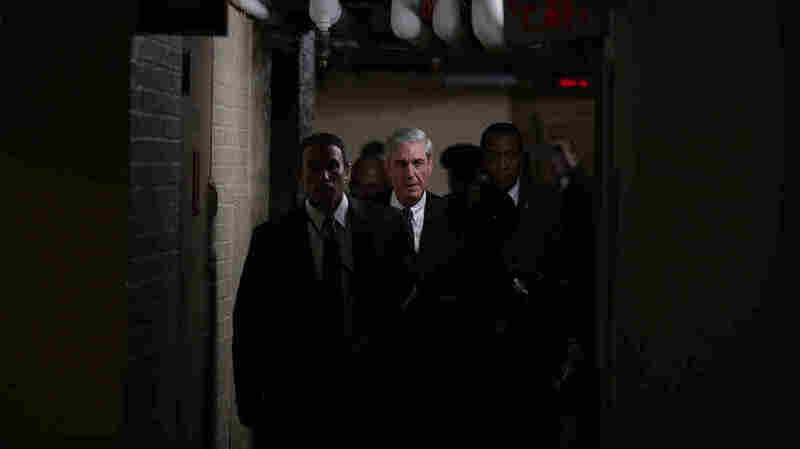 Mueller concluded his investigation in late March and submitted a almost 400-page confidential report. Barr said he expected the inspector general's work to be completed by May or June. Barr rejected the assertion that he could have quickly made public the summaries the Special Counsel's team prepared because all of the material contains grand-jury information, which by law cannot be released. On Tuesday, Barr told members of Congress in his first public appearance since receiving Special Counsel Robert Mueller's report that his earlier projection of releasing a version by mid-April still stood. He later described in a March 29 follow-up letter what kind of material would be redacted and announced he meant to release the report by mid-April, if not sooner. Barr's letter, for instance, hinted that there would be at least one unknown action by the president that Mueller examined as a possible act of obstruction. The chairman of a House appropriations subcommittee says it would be a serious blow to democracy if special counsel Robert Mueller's full report on the Russian Federation investigation is not fully made public. Republican Representative Robert Aderholt of Alabama asked Barr during Tuesday's hearing if the Justice Department is investigating "how it came to be that your agency used a salacious and unverified dossier as a predicate for FISA order on a US citizen?" The exoneration point is perhaps the most contentious partial quote slipped into Barr's summary: "The Special Counsel states that 'while this report does not conclude the President committed a crime, it also does not exonerate him'". He said he had offered Mueller the chance to review his four-page letter, but that Mueller declined.